Vladimir Nabokov's unfinished final work, The Original of Laura , will be published on November 3, 2009, in the UK (Penguin) and the States (Knopf). Even better: the book will reproduce the 138 index cards containing the text. Says Lifehacker: "it looks like a decent start." It looks to me like a disaster, and it reminds me how happy I am minus Windows, minus Microsoft Office. 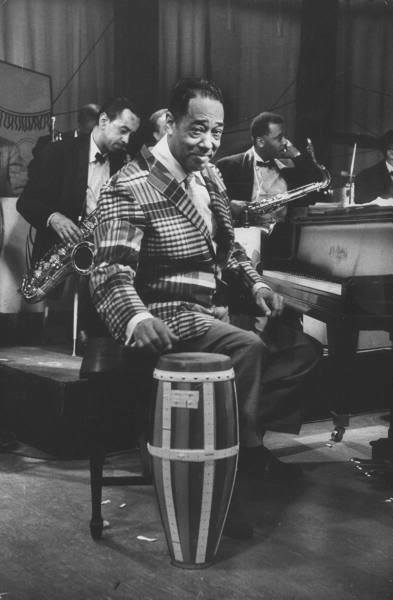 Edward Kennedy Ellington was born 110 years ago today. A. I am a musician who is a member of the American Federation of Labor, and who hopes one day to amount to something artistically. Q. Are you not being too modest? A. Oh, no, you should see my dreams! If you've read Mark C. Taylor's New York Times opinion piece on American higher education, End the University as We Know It, follow up with Marc Bousquet's persuasive reply, More Drivel From the New York Times . Graduate education is the Detroit of higher learning. Most graduate programs in American universities produce a product for which there is no market (candidates for teaching positions that do not exist). In fact, there are plenty of teaching positions to absorb all of the "excess doctorates" out there. At least 70 percent of the faculty are nontenurable. In many fields, most of the faculty don’t hold a Ph.D. and aren’t studying for one. By changing their hiring patterns over the course of a few years New York or California — either one — alone could absorb most of the "excess" doctorates in many fields. The problem isn’t an oversupply of qualified labor. It’s a restructuring of "demand" so that work that used to be done by people with doctorates is being done by persons with a master's or a B.A., or even by undergraduates. 70% of U.S. college faculty are indeed nontenurable. In 2007, tenured and tenure-track professors composed 31.2% of college teaching personnel. I recommend Bousquet's How the University Works: Higher Education and the Low-Wage Nation (New York University Press, 2008) to anyone interested in American higher education. Hollywood's Warner Bros. studio has hired Jonathan Liebesman to direct a movie inspired by Homer's epic Greek poem The Odyssey. . . .
Odysseus is about what happens when the king of Ithaca returns home after years of fighting the Trojan Wars and discovers his kingdom is occupied by an invading force, the entertainment industry trade newspaper [Variety] noted. Wars? No, war. His kingdom? No, his oikos. An invading force? No, young aristocrats seeking to marry Penelope. The article notes that Liebesman is the director of The Texas Chainsaw Massacre: The Beginning (2006). I found this solution in a post at the Gmail Labs Google Group. Thanks, dojibear. Don't it always seem to go that you don't know what you've got 'til it's gone? Friday, May 1 is Buy Indie Day, a day for buying a book or two or more from an independent bookstore. In the United States, you can search for such bookstores with the Indie Store Finder. If you'd like to share news of what you've scored and where, stop by and leave a comment on Friday (I'll add a post for that). It will be fun to see the bookbuying activity of readers hither and yon, especially yon. Commenting on a previous post, a reader suggested that a sentence in The Elements of Style that some read as an obvious joke is in fact "a dunder-headed Strunken mistake." "You can't just declare that it's a joke," wrote this reader. When you overstate, readers will be instantly on guard, and everything that has preceded your overstatement as well as everything that follows it will be suspect in their minds because they have lost confidence in your judgment or your poise. Overstatement is one of the common faults. A single overstatement, wherever or however it occurs, diminishes the whole, and a single carefree superlative has the power to destroy, for readers, the object of your enthusiasm. Look at the language: instantly, everything, everything, single, wherever or however, single, destroy. Note too the conspiciously missing superlative: "one of the [most] common faults." I hereby declare that E.B. White (the passage is his) is joking. Rather, very, little, pretty — these are the leeches that infest the pond of prose, sucking the blood of words. The constant use of the adjective little (except to indicate size) is particularly debilitating; we should all try to do a little better, we should all be very watchful of this rule, for it is a rather important one, and we are pretty sure to violate it now and then. One could take such passages as evidence of supreme cluelessness or as evidence of wit. Wit is the better choice, one that respects the intelligence of Strunk and White and their readers. From Anu Garg's A.Word.A.Day: maritorious, "Excessively fond of one's husband." The word is derived from the Latin maritus (married, husband). The word maritorious is rare, while uxorious is fairly well known. What does that say about the relative fondness of husbands and wives to each other? I'm joining my blogging friend T. in placing a blue ribbon on my blog in support of journalist Roxana Saberi, now being held in Tehran's Evin Prison, and in support of all writers and students imprisoned for expressing their ideas. Today is Roxana Saberi's thirty-second birthday. If you have an online presence, please join this rally in support of free expression by displaying a blue ribbon. Q. You are still writing poetry and last fall you had an exhibit of your collages at a Manhattan gallery. Could you please share some lessons of a long life? A. I go back to Harvard and see all the same buildings and streets and rivers. It seems as though this was only a few months ago that I was there. 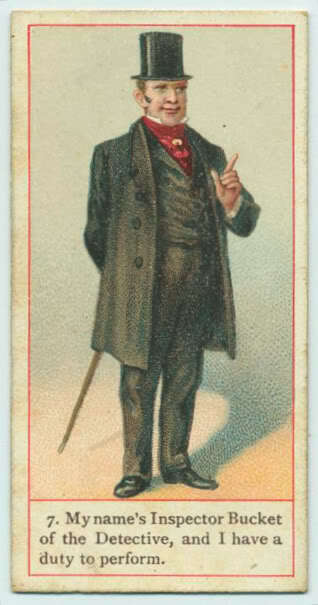 I don't know that I have really accumulated any wisdom in my fourscore years. I feel as unprepared now as I was when I was a student. I guess I'm just an 80-year-old adolescent. Or 81. Ashbery returns to Harvard later this week to receive the university's Arts Medal. He graduated from Harvard College in 1949. As my dad said on the phone, "Some people don't stay married fifty-five weeks." Apparently, private text messages — not university-sponsored alerts — invited students to a party at the library, which turned into a riot, according to local news sources. About 1000 students congregated and tried to force their way into the building and jump off of it. Police arrived, and members of the crowd began throwing objects at the officers. Police responded by spraying mace in the air above the crowd, and several people were arrested and charged with disorderly conduct. . . .
A university official said that some of the students believed this was “harmless fun” but forcing entry to a building or disturbing the peace, particularly when students inside were trying to study, was far from harmless. Familiar songs can help people with dementia relate to others, move more easily and experience joy. . . .
Music memory is preserved better than verbal memory, according to [music therapist Alicia] Clair, because music, unlike language, is not seated in a specific area of the brain but processed across many parts. "You can’t rub out music unless the brain is completely gone." Elaine and I (and sometimes our children) play music several times a year at a local nursing home, and we are always struck by the attentiveness with which our listeners — most of whom would appear to be out of it — respond. We love playing standards, and those are well received, but the songs that go over best are older and simpler: "Home on the Range," "The Sidewalks of New York." Christmas music too, both sacred and secular, taps deep emotion. When all else is gone, it seems, there's music. Fairweather concluded that faculty and administration must deal with the enormous emphasis placed on research and the rewards tied to it before achieving a re-emphasis on teaching. Fairweather concluded that faculty and administrators must deal with the enormous emphasis placed on research and rewards tied to it before achieving a reemphasis on teaching. The Associated Press reports that another college president has been accused of plagiarism in a dissertation. William Meehan, president of Alabama's Jacksonville State University, earlier ran into difficulties when newspaper columns published under his name turned out to have been plagiarized by the ghostwriter who assembled the columns. Neither Jacksonville State University nor the University of Alabama (which granted Meehan his Ed.D.) is preparing to look into the dissertation. Or at least not yet. The quoted passages above, from dissertations by Carl Boening and Meehan, appear in the AP article. Both dissertations were submitted to the University of Alabama, three years apart. "[A]chieving a re-emphasis": it's remarkable that anyone would plagiarize that ungainly phrase. These claims have been investigated not only by the university, but by third parties and the university is completely satisfied that there is no substance to the allegations. President Meehan has been clear from the beginning that he used Mr. Boening’s dissertation as a spring board for his own, and Meehan’s dissertation duly credits his predecessor’s work. This explanation is less than persuasive. The AP article cited above notes that Jonathan Bailey of Plagiarism Today examined the dissertations and "concluded that 'extensive portions' of Meehan's dissertation were plagiarism of Boening's work." In other words, the third-party investigation supports, not discredits, the allegation of plagiarism. "Spring board" is an interesting metaphor. But one can acknowledge a source while plagiarizing from it. If I say that I'm indebted to your work while borrowing its words and ideas without attribution, I've plagiarized your work. "Local Norms" and "'organic' attribution"
Elaine put it best: "This Hi and Lois is on drugs." A context clue (i.e., the strip's second panel) suggests that the large white shape in the first panel is neither a chest freezer nor a radiator nor a rogue wall but a faucetless sink, with a mirror and partly-tiled wall behind it and a shower curtain and tub to the right. Got that? It's almost enough to make one overlook that the bathoom is missing a door. The Google search how to email professor asking to pass just brought someone to my post How to e-mail a professor. So how do you e-mail a professor asking to pass? The short answer may be found on Charles Bukowski's gravestone: "DON'T TRY." You should have been talking to your professor, face to face, much earlier in the semester. It might not be too late to do so now. But no professor with a shred of integrity will respond favorably to a pleading e-mail from a student who can't be bothered to come in during office hours. So try talking to your professor. Or use PayPal. Why stop to think of weather? bright as the stars we're under. Oh! Is it any wonder? This little dream might fade. Who cares about the weather? Quickly, while the dream's on! this little dream might fade? We'll put our hearts together. Now we are one: I'm not afraid! Well, I'm glad I got that straightened out. While the party went on inside. You knew the groom from college. I was a friend of the bride. No course on modern painting or music would avoid what's "difficult" — cubism, abstract expressionism, atonality. But in English studies, accessibility often trumps other considerations. Granted, one cannot ask students to read what they simply cannot read. But in my teaching, I've found that asking students to read beyond their means can sometimes create genuine excitement. Poems with a significant element of opacity and mystery (one form of "difficulty") are sometimes the best choices: they can create a more level playing field, or, to switch the metaphor, a playing field with so many unpredictable spots that teacher and student together are maneuvering with attentive uncertainty. I once taught Guillaume Apollinaire's "Les Fenêtres" [The Windows] to an introductory poetry class whose students dazzled me with the attention they brought to the poem. They knew that while I had ideas, I didn't have "the answer," which seemed to give them permission to come up with ideas of their own (very good ones). 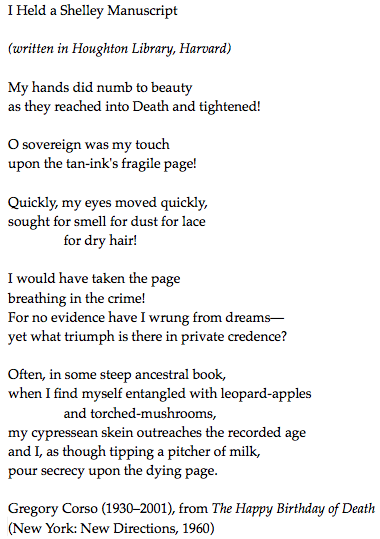 Opacity and mystery are, I would suggest, what made the closing lines of Frank O'Hara's poem "Mayakovsky" so compelling when they turned up in Mad Men. Removed from the context of a classroom, these beautiful lines became an occasion of feeling. In that context, "What does it mean?" is not an anxious request for an answer but a reverent acknowledgment of enigma. Reading a poem includes knowing and not knowing. Uncertainty, shock, and surprise, as well as music and knowledge, may be a part of what the reader gets. There are, it should be added, poems that are deliberately and perhaps permanently unclear. . . . Poets may wish to give, and readers be interested in the experience of getting, shocks of intellect, emotion, and sensation without entirely knowing where they are coming from. It's important for teachers to acknowledge that. One of the sternest strictures delivered in Strunk & White's stupid little book is the prohibition on the use of adjectives and adverbs. Simply do not use them, they say: "Write with nouns and verbs, not with adjectives and adverbs" (The Elements of Style, p. 71). You mentioned that we should omit needless words, Strunk's famous injunction — "Omit needless words" — and that in a hasty manner is verbose where hastily would be better. Yes, they do say that. They also say don't use adjectives and adverbs at all; write with nouns and verbs; and that would rule out hastily, wouldn't it? Some of the advice is just cuckoo. Don't use adjectives and adverbs?! At all?! That advice would be cuckoo indeed. Talk of the Nation host Neal Conan let Pullum's claim go unquestioned. For fear of little men . . . The nouns mountain and glen are accurate enough, but had the mountain not become airy, the glen rushy, William Allingham might never have got off the ground with his poem. In general, however, it is nouns and verbs, not their assistants, that give good writing its toughness and color. Pullum not only represents Strunk and White as saying about adjectives and adverbs what they don't say; he represents them as saying something utterly absurd. What Strunk and White would like their reader to avoid is dopey overwriting: "cold, round doorknob," "wept sadly," "said humorously" (my examples). But as Strunk and White also recognize, adjectives and adverbs can be powerful stuff. Proust, for one — he's never far from my mind — strings together well-chosen adjectives in wonderful, unexpected ways. In the 2005 item I quote above, Pullum tallies the adjectives and adverbs in a passage from a White essay and pronounces its author a "linguistic hypocrite" for failing to follow his own "rules" against adjective and adverb use. There are no such rules. I think that Pullum's disdain for The Elements of Style, the "stupid little book," often leads him to distort and misread the plain sense of the text. None of us are perfect, not Pullum, not Strunk, not White. And not me. Imagine if Dr. Bronner had teamed up with David Allen: ALL- ONE! GETTING-THINGS-DONE! "I tell you, that ad really worked." "Artisanal cracker ad." [Self-correcting pause.] "Artisan." "[S]imply a controlled acute episode"
From page eleven of a memorandum from Jay S. Bybee, Assistant Attorney General, Office of Legal Counsel, U.S. Department of Justice, to John Rizzo, Acting General Counsel of the Central Intelligence Agency, August 1, 2002. The "subject's body" — not the person. No "actual physical harm," although four pages later, the writer acknowledges that "the waterboard constitutes a threat of imminent death." But if we haven't really killed you, we haven't harmed you. And a sentence that is frightening in its calm logic: "The waterboard is simply a controlled acute episode, lacking the connotation of a protracted period of time generally given to suffering." Because it's only for a few seconds at a time that we've made you feel that you're going to die, we haven't really made you suffer. I suspect that "controlled acute episode" will join "enhanced interrogation techniques" as historical shorthand for the George W. Bush administration's utter corruption of language, moral reasoning, and democratic principles. The American Civil Liberties Union has downloads of the four Office of Legal Counsel memoranda released today. That's all I do. I have no real hobbies. I play a very hostile chess game with my wife occasionally — that clears the air. But other than that, it's just music that interests me. If I go to a movie, I think about the music, much more than I think about the words or the emotional content on the screen. I'm touched by the sound. That's just the way I'm built. My favorite Parksism in this interview: "expensive Italian timber" — i.e., strings. With so many pressing issues on his plate, Mr. Obama is engaged in an astonishing juggling act. "Fifty Years of Stupid Grammar Advice," Geoffrey K. Pullum's recent piece on William Strunk and E.B. White's The Elements of Style, is snarky and sensational enough to appeal to a reader suspicious of a dos-and-don'ts approach to writing. How refreshing to be told — by a grammarian no less — that Strunk and White are "grammatical incompetents," "idiosyncratic bumblers," purveyors of "uninformed bossiness" and "misbegotten rules." Pullum's professional indignation shines in this slightly funny sentence: "Certainly White was a fine writer, but he was not qualified as a grammarian." When you become hopelessly mired in a sentence, it is best to start fresh; do not try to fight your way through against the terrible odds of syntax. Usually what is wrong is that the construction has become too involved at some point; the sentence needs to be broken apart and replaced by two or more shorter sentences. Pullum labels "Do not explain too much" "tautologous." In context, this seemingly unhelpful recommendation appears more useful, as it's followed by advice to avoid adverbs after said when writing dialogue. "Let the conversation itself disclose the speaker's manner or condition," say Strunk and White. Again, reasonable and potentially useful advice. Pullum says that "many" of Strunk and White's recommendations are "useless," citing "Omit needless words" as an example. On its own, this advice is no more helpful than telling a musician to avoid playing wrong notes. But "Omit needless words" doesn't appear on its own; it's accompanied by sixteen examples of how to improve cumbersome phrasing (e.g., "the fact that") and a demonstration of how six choppy sentences can be revised into one. If you have received a letter inviting you to speak at the dedication of a new cat hospital, and you hate cats, your reply, declining the invitation, does not necessarily have to cover the full range of your emotions. You must make it clear that you will not attend, but you do not have to let fly at cats. Pullum's summing up — "Following the platitudinous style recommendations of Elements would make your writing better if you knew how to follow them" — seems to forget that The Elements of Style is, after all, a book, with examples and explanations to help the reader to put its recommendations into practice. Pullum's greater ire concerns what he calls Strunk and White's "grammar stipulations," which have "degraded" "American students' grasp of English grammar." Strunk and White: menaces to society! I'm not convinced. I teach many students who have never been taught to look at their writing with any degree of care for clarity and concision. (Indeed, student-writers, encouraged by "vocab"-loving teachers and word-counts, often value the ponderous prose that Strunk and White disdain.) In college composition classes, Strunk and White's minimalism seems passé, replaced by what's called a "handbook," typically a hardcover book of 1,000+ pages. My evidence is anecdotal, but I have never had a student mention Strunk and White as a significant part of her or his writing education. The Elements of Style now seems far more popular outside the world of English instruction, particularly among tech types, whose work writing code would foster respect for clarity and concision. And speaking of tech stuff, I'm so glad I switched to a Mac. But there I go, injecting opinion. Back to grammar. Sadly, writing tutors tend to ignore this moderation, and simply red-circle everything that looks like a passive, just as Microsoft Word's grammar checker underlines every passive in wavy green to signal that you should try to get rid of it. That overinterpretation is part of the damage that Strunk and White have unintentionally done. What concerns me is that the bias against the passive is being retailed by a pair of authors so grammatically clueless that they don't know what is a passive construction and what isn't. Of the four pairs of examples offered to show readers what to avoid and how to correct it, a staggering three out of the four are mistaken diagnoses. The habitual use of the active voice, however, makes for forcible writing. This is true not only in narrative concerned principally with action but in writing of any kind. Many a tame sentence of description or exposition can be made lively and emphatic by substituting a transitive in the active voice for some such perfunctory expression as there is or could be heard. The three examples that Pullum cites as mistakes all have sentences with forms of to be, all then revised with active verbs. Pullum here is misreading the plain sense of the text. What Pullum says of The Elements of Style — "The treatment of the passive is not an isolated slip. It is typical" — might be said of "Fifty Years of Stupid Grammar Advice": Pullum's treatment of "Use the active voice" is not an isolated slip. It is typical. Pullum consistently decontextualizes Strunk and White's recommendations, turning them into commandments that offer no real guidance. I'll leave most of Pullum's other points for you, reader, to consider. They involve a fair amount of harumphing and, as Matt Thomas points out, at least one missed joke. And citing "classic texts," as Pullum does, as guides to usage can be tricky. Oscar Wilde, Bram Stoker, and Lucy Maud Montgomery give us one picture of the language. Laurence Sterne and James Joyce would give us another. In a comment on an earlier post about Strunk and White and a sentence from the New York Times, I wrote that "I've long thought that many of Strunk and White's precepts ('Omit needless words') are less than helpful to a developing writer." Looking back at The Elements of Style, which I hadn't read in years, has made me rethink that comment. Last week on NPR's Talk of the Nation, Geoffrey Pullum claimed that Strunk and White prohibit the use of adjectives or adverbs. Host Neal Conan let the claim go unquestioned. I've written about it here: Hardly (adverb) convincing (adjective). A sampling of other comentary: More on Pullum, Strunk, White. On Strunk and White's mistakes: Strunk and White and wit. A final word on Strunk and White: The Elements of Style, one more time. Mrs. Rutledge: So you do get up. I was beginning to think perhaps you worked in bed, like Marcel Proust. Mrs. Rutledge: You wouldn't know him. A French writer. Marlowe: Come into my boudoir. This exchange (in a screenplay by William Faulkner, Leigh Brackett, and Jules Furthman) is drawn from Chapter Eleven of Raymond Chandler's 1939 novel, in which Mrs. Rutledge adds that Proust is "a connoisseur in degenerates" and Marlowe prefaces his invitation with a "Tut, tut." The poetic propriety of such inclusions has, by a certain kind of commentator, been questioned. Some critics think poems should not refer to such things. Some critics think such things have no place in poetry. Some critics have questioned the poetic propriety of such references. I'm not sure what the fuss is about: poetry long ago made room for Achilles' shield, an object far grander than any motorcycle. The question is not whether motorcycles belong in a poem but whether the poem is good. And if you're wondering: I'm no fan of Seidel's work, which I find, well, boring. (It's funny how quickly shocking turns boring.) Some years ago I turned down an invitation to review Seidel's My Tokyo (1993). 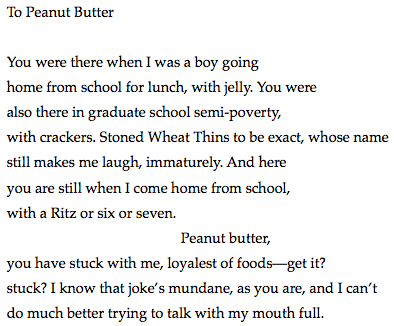 I wish I had a copy of the letter I sent back, which quoted a few choice bits of the poems. "It's like 'I'm a full-blown human, and you're an eighteen-year-old girl. What do you know?'" Inspector Bucket speaks the above words in Chapter 24 of Bleak House (1853). Bucket has no first name and a wife whom we never see. These details and his genial, deceptively casual manner make him the precursor of another great detective, Lieutenant Columbo of the LAPD. Postcards from a field trip? Not plausible, though it sounds like a good poem title. Also not plausible in today's Hi and Lois is the way the background colors switch places. Really. No joke. And that hedge — it's coming closer! Quick! Run! Does this name signal genetically-modified food? Rich meaty taste? Nah. It's just a misspelling that, like hamburger-flavored lettuce, one doesn't expect to find in the grocery store. quietube removes the clutter from web videos. Readability removes clutter from web pages. Also good for making clean PDFs or print versions of online materials. Readability seems to work best with pages displaying a single article or post. These bookmarklets seem to me especially helpful in classroom settings, where one might want to look at a news item or film clip without the distractions of ads or viewer comments. If you dislike displaying a bookmarks toolbar in your browser, you can save these bookmarklets as plain bookmarks. Call them up quickly when you're browsing by assigning keywords — for instance, qtube, read. The glue on the above labels is untouched by insects, untouched by human tongues. 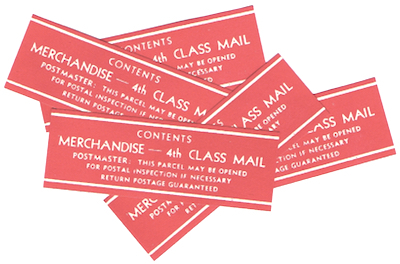 These labels are from a box of forty-five Dennison's Gummed Labels No. 27. I like the clear design, the white bands (shades of Pall Mall Famous Cigarettes), and the lower-case th. I wish I knew the typeface. I found these labels some years ago in a now-defunct stationery store. "[S]ought for smell for dust for lace"
Corso, like Percy Bysshe Shelley, is a poet of exclamatory, lofty energy. As you might already know, Corso's ashes are buried next to Shelley's in the Cimitero acattolico di Roma, the Non-Catholic Cemetery in Rome. If you're wondering what a "cypressean skein" is, I am too. Corso's poem "Bomb" mentions "cypressean torches." But a skein? Corso, like Malcolm X, was a dictionary reader in prison. I do know that I love the adjective steep (high, lofty) modifying book. O book! Now I understand Chip's strange appearance earlier this week: there must be a new stylist at work at Hi and Lois, so dedicated, so passionate, that he or she is working even in the interstice, as in today's strip, cutting, parting, shaping, volumizing. New looks! And new colors. Thirsty has always — always — had "blond" hair — that is, yellow. Too late for April 1, but still timely for nostalgists: Smell of Books™, "a revolutionary new aerosol e-book enhancer." When I've asked my students, digital natives all, what they think about the idea of reading on a Kindle, several have said that they would miss the smell of books. "What!" said I. "Are you from the nineteenth century or something?" They weren't joking, and they wouldn't budge. 1st Tray. Poached egg, Toast, Jam, Butter, Coffee and milk, Jug of cold milk, Cold Chicken or Meat. 2nd Tray. Grapefruit, Sugar Bowl, Glass orange squash (ice), Whisky soda. Daily Routines has an account of Churchill's, uhh, daily routine. And if you're wondering about orange squash, it's a beverage. As the national economic crisis has deepened and social services have become casualties of budget cuts, libraries have come to fill a void for more people, particularly job-seekers and those who have fallen on hard times. Libraries across the country are seeing double-digit increases in patronage, often from 10 percent to 30 percent, over previous years. But in some cities, this new popularity — some would call it overtaxing — is pushing libraries in directions not seen before, with librarians dealing with stresses that go far beyond overdue fines and misshelved books. Many say they feel ill-equipped for the newfound demands of the job, the result of working with anxious and often depressed patrons who say they have nowhere else to go. . . .
"I guess I’m not really used to people with tears in their eyes," said Rosalie Bork, a reference librarian in Arlington Heights, a well-to-do suburb of Chicago. "It has been unexpectedly stressful. We feel so anxious to help these people, and it’s been so emotional for them." 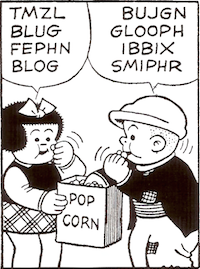 If you can account for Chip's hair in the middle panel of today's Hi and Lois, I'll triple your allowance. Bangs aside, I like the way Chip's Trixie-like tuft resembles a misaligned goatee. From 1957: Swiss spaghetti harvest (YouTube). As more and more everyday communication takes place over e-mail, lots of people have complained about how hard it is to read and respond to every message. This is because they actually read and respond to all their messages. It's Gmail to the rescue, with Gmail Autopilot™ by CADIE.